The Wiley Guides to the Management of Projects address critical, need-to-know information that will help professionals successfully manage projects in most businesses and help students learn the best practices of the industry. They contain not only well-known and widely used basic project management practices but also the newest and most cutting-edge concepts in the broader theory and practice of managing projects. 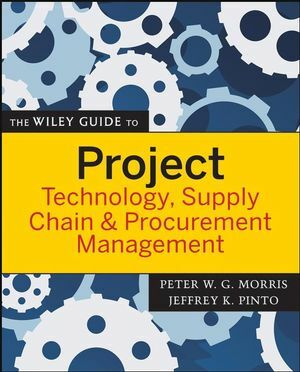 This fourth volume in the series offers expert guidance on the supply chain and delivery cycle of the project, as well as the technology management issues that are involved such as modeling, design, and verification. Technology within the context of the management of projects involves not so much actually doing the "technical" elements of the project as managing the processes and practices by which projects are transformed from concepts into actual entities-and doing this effectively within the time, cost, strategic, and other constraints on the project. The contributors to this volume, among the most recognized international leaders in the field, guide you through the key life-cycle issues that define the project, ensure its viability, manage requirements, and track changes-highlighting the key steps along the way in transforming and realizing the technical definition of the project. Peter W. G. Morris is Professor of Civil Engineering, Department of Civil & Structural Engineering, UMIST, Manchester, United Kingdom. Professor Morris is also Vice President of the Association for Project Management and Vice Chairman of the International Project Management Association. Jeffrey K. Pinto is a Professor at the School of Business, Pennsylvania State University, Erie, Pennsylvania. 1: Requirements Management in a Project Management Context (Alan M. Davis, Ann M. Hickey, and Ann S. Zweig). 2: Design Management (Peter Harpum). 3: Concurrent Engineering for Integrated Product Development (Hans J. Thamhain). 4: Process and Product Modeling (Rachel Cooper, Ghassan Aouad, Angela Lee, and Song Wu). 5: Managing Configuration and Data for Effective Project Management (Callum Kidd and Thomas F. Burgess). 6: Safety, Health and Environment (Alistair Gibb). 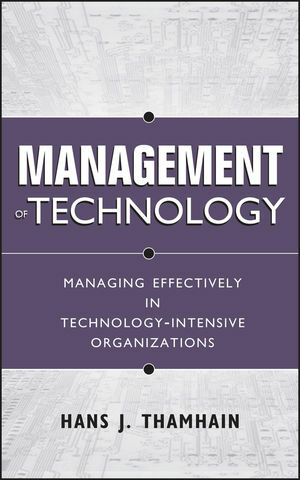 8: Managing Technology: Innovation, Learning, and Maturity (Rodney Turner and Anne Keegan). 9: Integrated Logistic Support and All That: A Review of Through-Life Project Management (David Kirkpatrick, Steve McInally, and Daniela Pridie-Sale). 10: Project Supply Chain Management: Optimizing Value: The Way We Manage The Total Supply Chain (Ray Venkataraman). 11: Procurement: Process Overview and Emerging Project Management Techniques (Mark E. Nissen). 12: Procurement Systems (David Langford and Mike Murray). 13: Tender Management (George Steel). 14: Contract Management (David Lowe). 15: Project Changes: Sources, Impacts, Mitigation, Pricing, Litigation, and Excellence (Kenneth G. Cooper and Kimberly Sklar Reichelt).